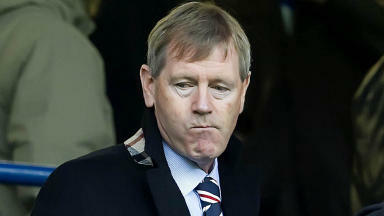 The South Africa-based businessman is a director of The Rangers FC plc, which is now set for liquidation. 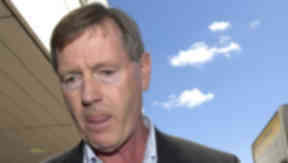 Rangers director Dave King has flown into Glasgow to hold talks with those involved in the newco buyout of the crisis-hit club. The South Africa-based businessman is a director of The Rangers FC plc, which is now set for liquidation after the club's assets were bought by a group headed up by Charles Green last week. Mr King arrived at Glasgow Airport on Monday morning having previously criticised the role of administrators Duff and Phelps in the insolvency of the 140-year-old club. He told STV News he is hoping to hold talks with various interested parties in the Rangers crisis and only wants people interested in investing in the club on a "not for profit basis" to succeed. 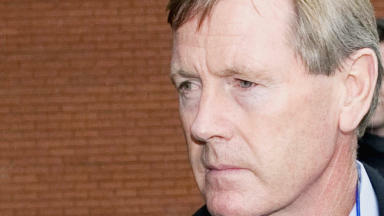 Mr King added: "I really don't believe Rangers represents a financial opportunity for anyone other than an asset stripper. "There is only one way forward for the club and that is that the club needs a level of funds which is way beyond the ability of the fans to support it with season tickets. "There is a structured financial deficit and unless the club gets access to funders who are willing to put money in on a non-commercial basis, I think for at least three years, then I don't think the club will go forward." The Rangers director looks set to lose his role with the club after the asset sale, which will be followed by the liquidation of the original company incorporated in 1899. Currently the assets, including Ibrox stadium and training ground Murray Park, have been sold to the newco Sevco 5088 Limited, which has not as yet changed its name to The Rangers Football Club, as Mr Green indicated would happen. 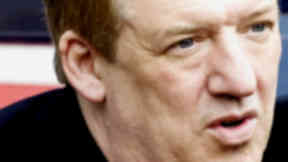 Mr King previously claimed he invested £20m in the club in 2000 when Sir David Murray was in charge. He then stated he was planning to sue the former owner for the cash because of Sir David's financial mismanagement of the Glasgow club, including the use of offshore tax avoiding employee benefit trusts (EBTs) to pay the wages of players and some directors. Sir David claimed he would vigorously contest that action if it arose, while Mr King was unsuccessful in registering as a creditor of Rangers FC in a company voluntary arrangement (CVA). He had lodged a claim for £20m and stated that he would put any money he retrieved back into the club. He also accused Sevco chief executive Mr Green of using season ticket sales to fund his takeover, similar to Craig Whyte, who bought Sir Davids 85% stake in Rangers for £1 last May and used a £25.3m deal with London firm Ticketus to wipe out the club's £18m debt to Lloyds Banking Group. Mr Green denied the allegations and accused the chief executive of Johannesburg investment firm MicroMega Holdings of being deliberately disruptive. Mr King is currently being pursued by the South African Revenue Service (Sars) for 2.7bn rand (around £227m) dating back to 1991. The Scot did not confirm whether he was seeking to join the consortium led by former Rangers and Scotland manager Walter Smith and backed by businessman Jim McColl, which is looking to takeover the newco club. Mr King's ability to get involved in any investment in the newco Rangers is limited by the fact that Sars took out a restraint order against him, preventing him from dealing in "realisable property". The Crown Office has previously confirmed the order is also in effect in Scotland. Mr Green's consortium paid £5.5m for all of the club's assets, but the majority of which will be used to pay Duff and Phelps £3m for their fees, as well as an estimated £1m to cover the costs of the liquidation of Rangers FC plc by neutral insolvency firm BDO, which will be appointed in several weeks time after being agreed by administrators and HM Revenue and Customs. According to the CVA proposal, creditors worth up to £134m will get around £953,000 to split between them once outstanding transfer fees of £2m and other monies are factored into the deal.